Thanks for sending this in Marni. 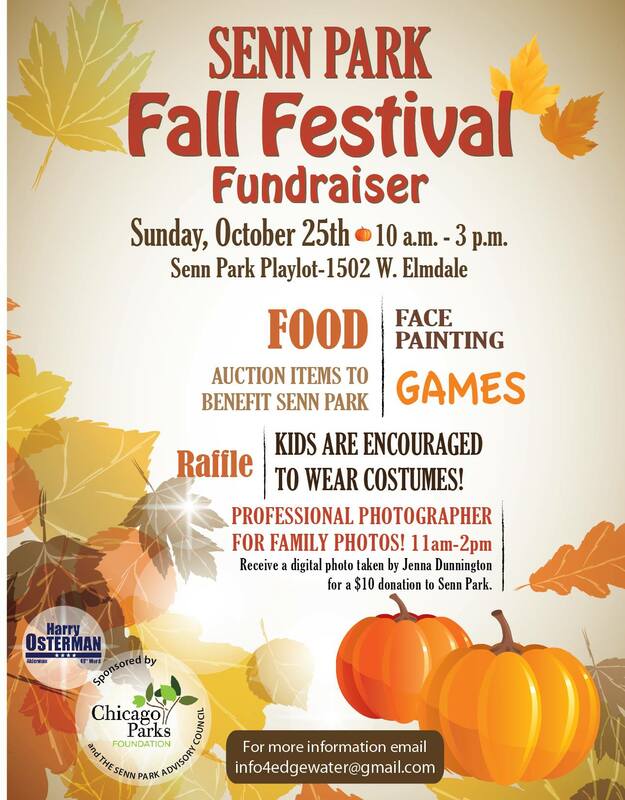 “Please join our neighborhood on Sunday, October 25 from 10am-3pm for a wonderful Fall Festival Fundraiser to support a revamp of Senn Park! Plans are in works to beautify the park and give it a much needed facelift! Face painting, Games, Food Trucks, Raffle, Silent Auction, Professional Photographer for Family Photos and More! Kids are encouraged to wear costumes! Previous PostFrom the Neighbors: Edgewater Glen Halloween Projects with Mark (Video Tutorial)Next PostHave Plans for the New Edgewater Metra Station Been Put on Ice?